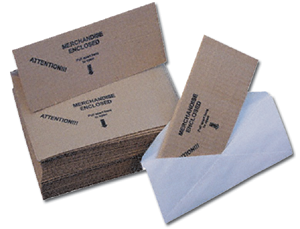 Self adhesive cardboard mailer for #10 envelopes. Co-adhesive flaps fold together around contents and provide additional protection and security for mailed items. Each cardboard mailer fits inside a #10 envelope.